North side. View from the second floor of the Coliseum. 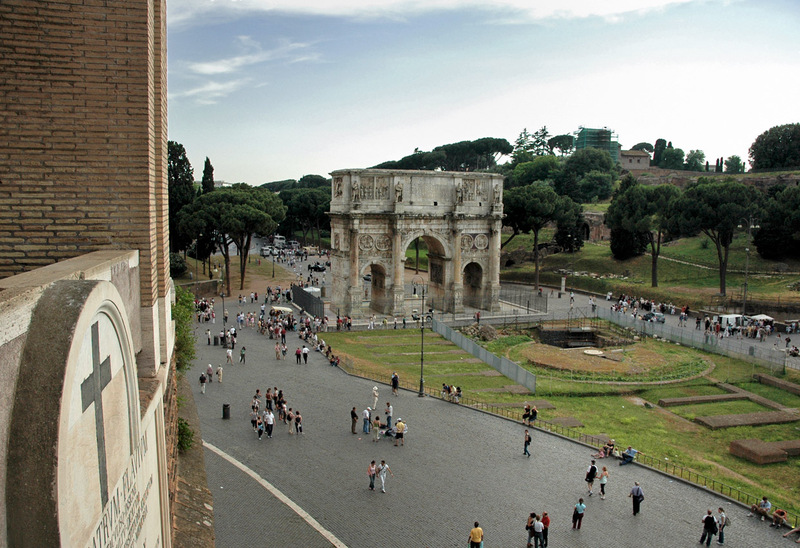 Arch of Constantinus and remains of the fountain Meta Sudans.